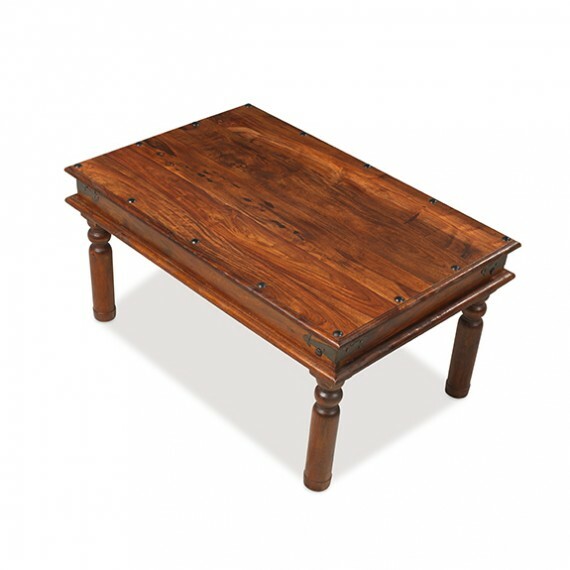 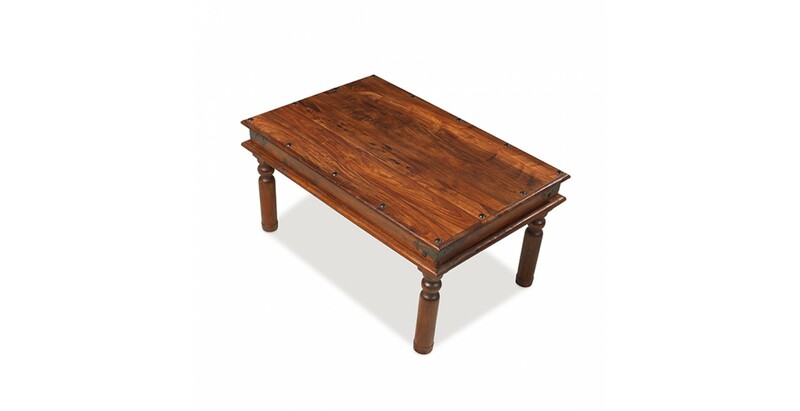 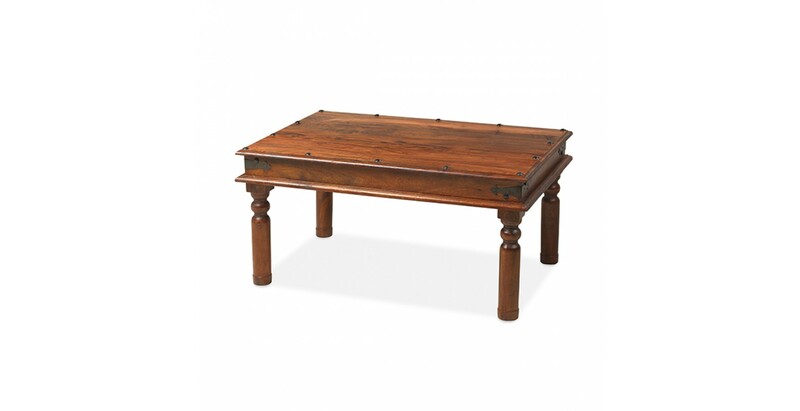 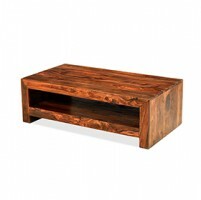 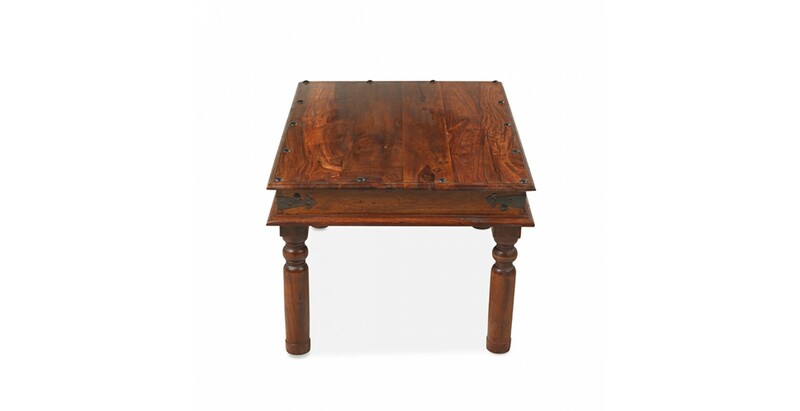 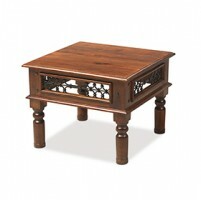 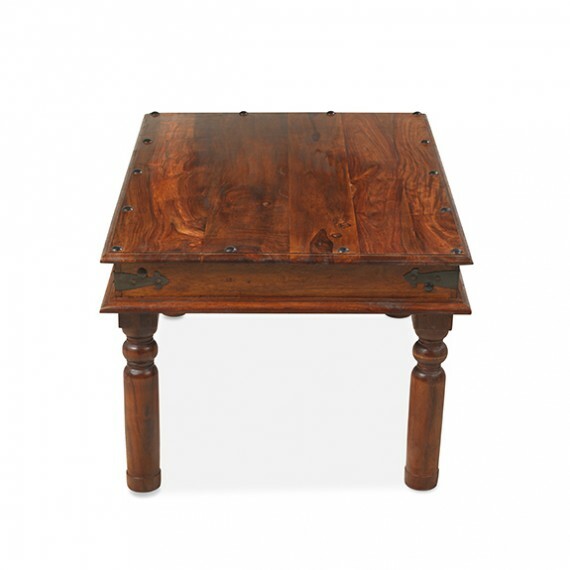 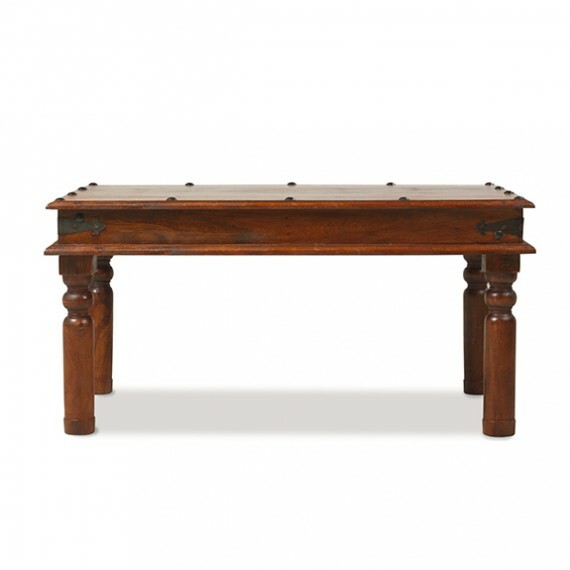 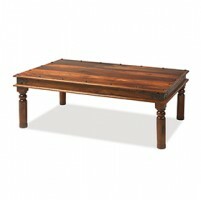 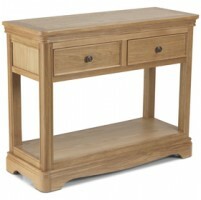 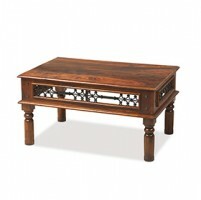 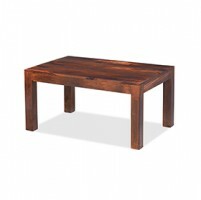 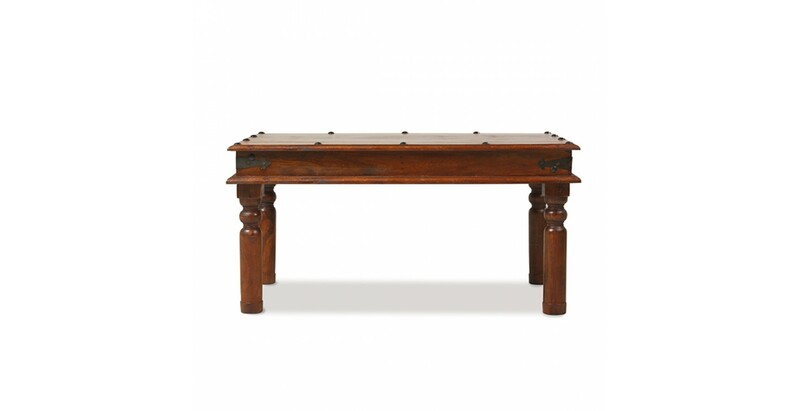 Reassuringly sturdy and superbly handcrafted in India from hard-wearing sheesham wood, this practical and beautiful coffee table echoes colonial style in its design. 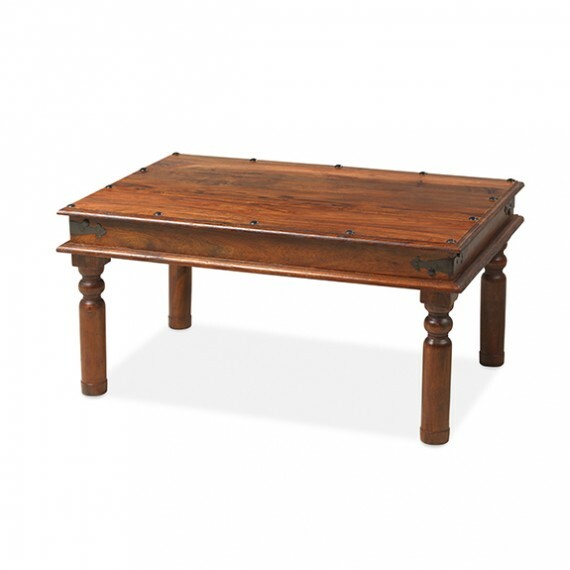 With iron studding and corner brackets contrasting smartly with the varying dark tones of the timber, the elegantly turned legs also add to its charms. 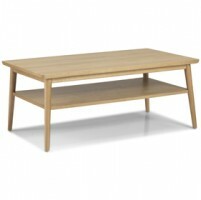 Big enough for a setting down a laptop or playing a board games, it's also ideal for piling up books and magazines or looking after a glass of wine and your remote control when you're relaxing in front of the TV.